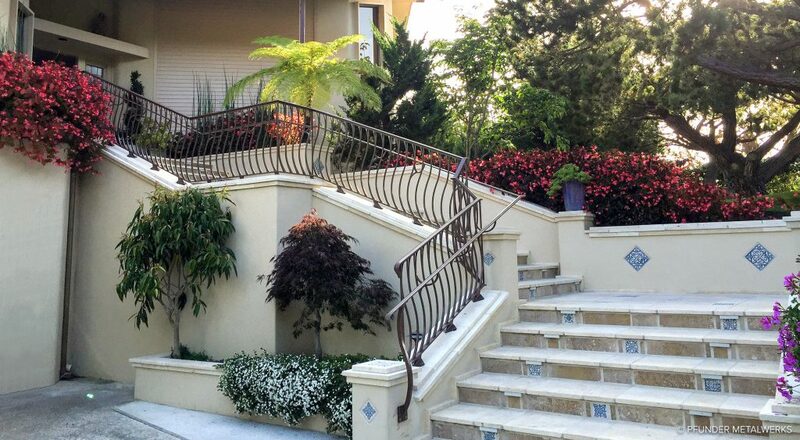 This custom-designed residential guard rail was built with aluminum to resist the ocean elements. The railing was installed in two sections into a travertine stone base. 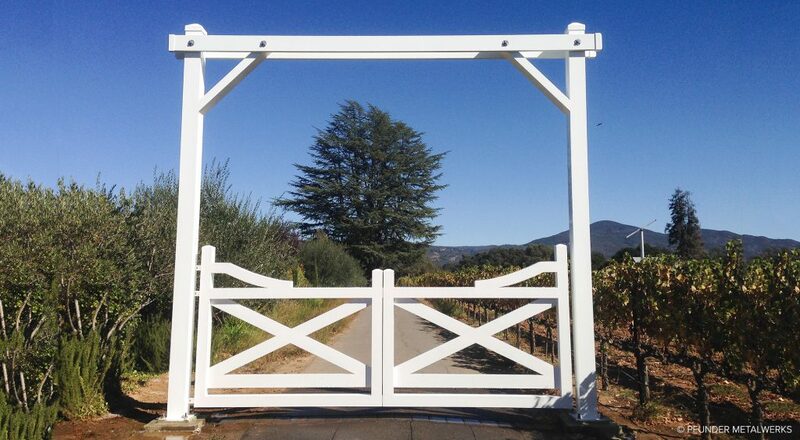 Decorative lamb's tongues were handcrafted to finish off the railing. . . .
A classic farm-style gate and arbor for a private residence in Napa. 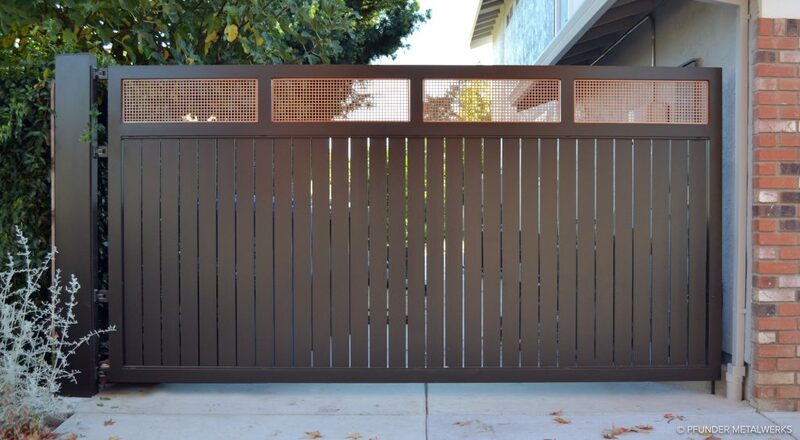 What makes this gate unique is that the entire gate swings open from a single side. . . .
A handcrafted aluminum gate for a residence in Napa. All elements of this gate were made in-house, including the hinges. . . .